PlusThis will calculate your date based on a starting date. That could be the date you run our tool ie after a form is filled out. 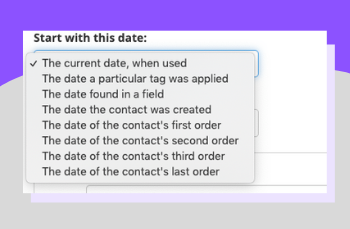 Or you can use an existing date in a field or when a contact was created. 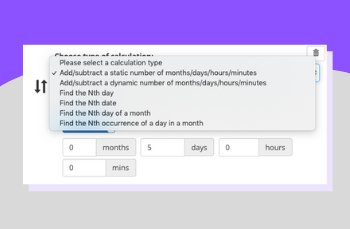 Add/subtract dynamic or static number of months/day/hours/minutes or find an Nth date, day, or occurrence of a day. With your dynamic dates stored, you can now use them in emails, texts and more. Send notifications for expiring offers, start dates and more. We LOVE PlusThis! There are so many cool features available, we love the Facebook audience features the most. 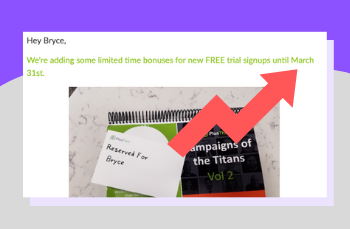 This feature integrates seamlessly with our Infusionsoft, and lets us push customers into and pull them out of audiences through our campaigns. This has really helped us enhance our customer experience, while dramatically increasing our sales. PlusThis is super-easy to use. And when we do have questions, their support team is amazing. Awesome product, exceptional customer service, we'd give them 10 stars if could.